Samsung Galaxy M20 comes with 5000mAh Battery which has support for Fast charging Let's check out Galaxy M20 Charging Time and Battery Discharge time from 100-0%. 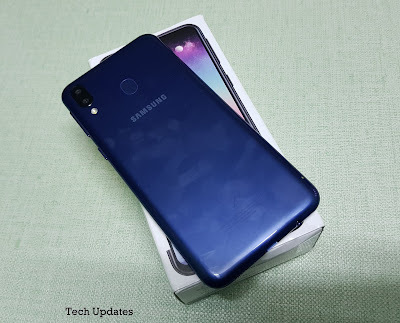 Samsung Galaxy M20 come with USB Type C port and has support for fast charging it comes with Samsung fast charger in the Box (9V-1.67A). It takes around 2 Hour to charge fully. Galaxy M20 comes with 6.3-inch (2340 x 1080 pixels) Full HD+ TFT Display powered by Exynos 7904 14nm processor Packed by 5000mAh Battery In our test we got 9 Hours of Screen on Time which include Gaming, Camera, Video Playback and More. Samsung Galaxy M20 starts at Rs. 10,990 for the 3GB RAM with 32GB storage, 4GB RAM with 64GB storage version costs Rs. 12,990.